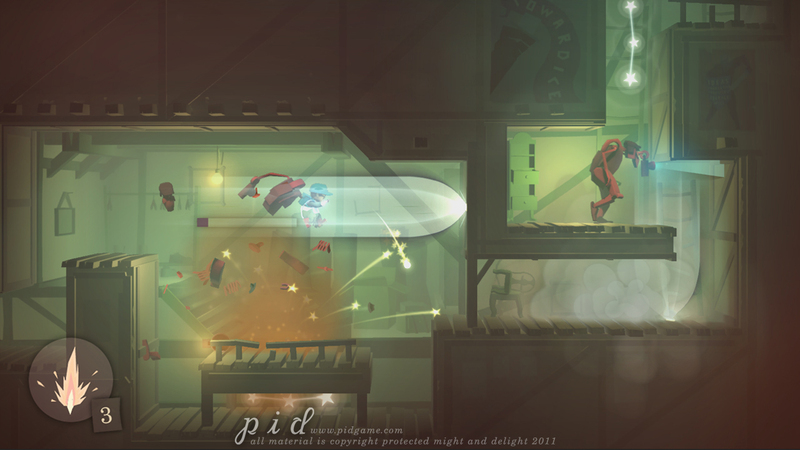 Way back at Pax Prime 2011 we picked the original iOS darling, SQUIDS as our game of show. Now, SQUIDS is back in the new installment, SQUIDS Wild West, and it more than stands up to its predecessor. Let’s take a closer look. 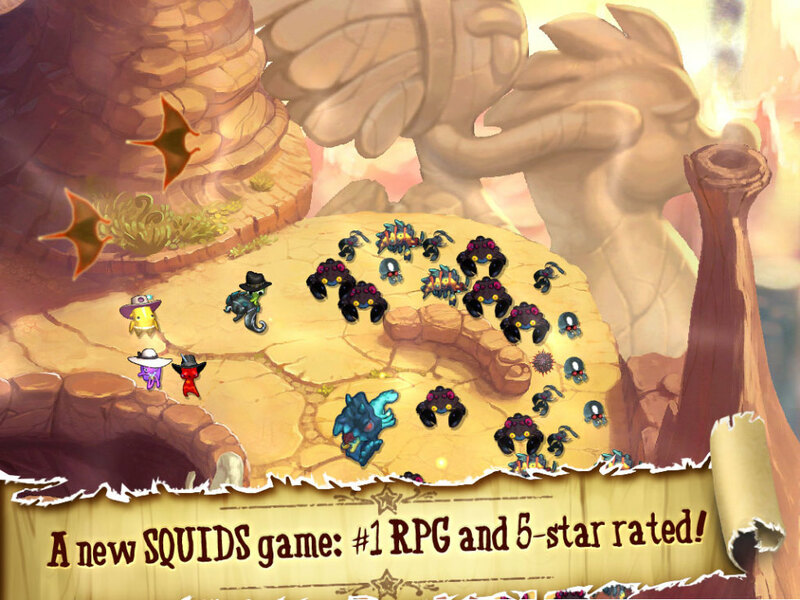 For those unfamiliar, SQUIDS is a tactical, yet casual, strategy RPG of sorts that uses a fling-mechanic to move characters around the maps. Your team of four is selected from a variety of different characters and character classes, each with their own strengths and weaknesses. As you progress through the game you can level up characters, unlock new equipment, and purchase items to help you along the way. 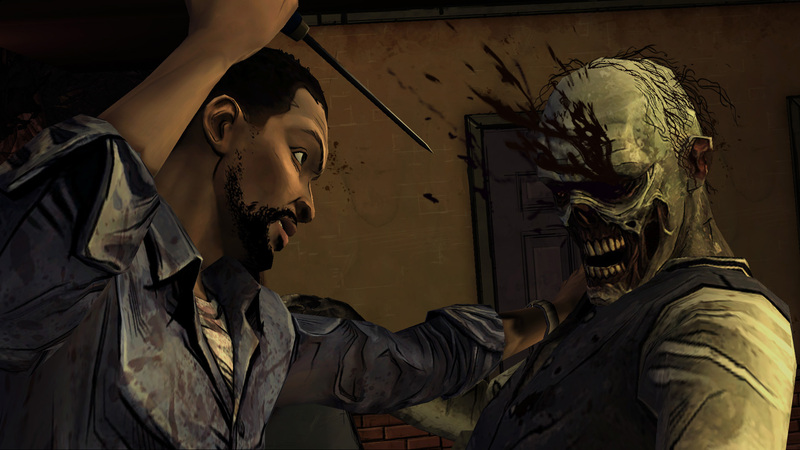 The game features a cohesive and interesting narrative as well as beautifully rendered visuals and a very solid soundtrack. Getting your feet wet: SQUIDS Wild West picks up the story where the original left off. There’s even a level early in the game that explains the plot of the original. The Level 10 character cap is also now at 25. I thought this was a nice touch because my characters started at Level 10. I’m not sure if this was a function of owning the original, or a way to show players how the game as evolved since the original Either way, this is a great way to bring players up to speed as they venture into this new western styled part of the SQUIDS universe. 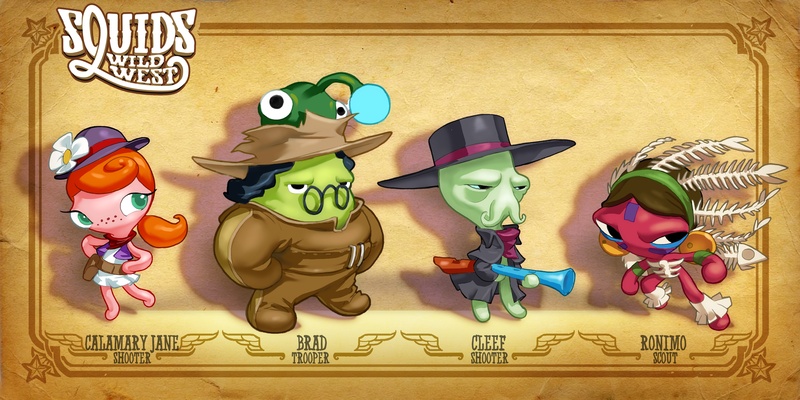 Evolution from the original: SQUIDS Wild West does exactly what it should — add more features to the core experience while still keeping with the spirit of the original game. Only after getting to SWW did I realize that the original game’s levels did not largely differ in their mission objectives and composition — kill all the enemies and make it to the goal. And, for the most part, once you got a party lineup together that worked for you, there was really very little reason to change it. Further, the scout class, in my opinion, was largely advantaged in the original. 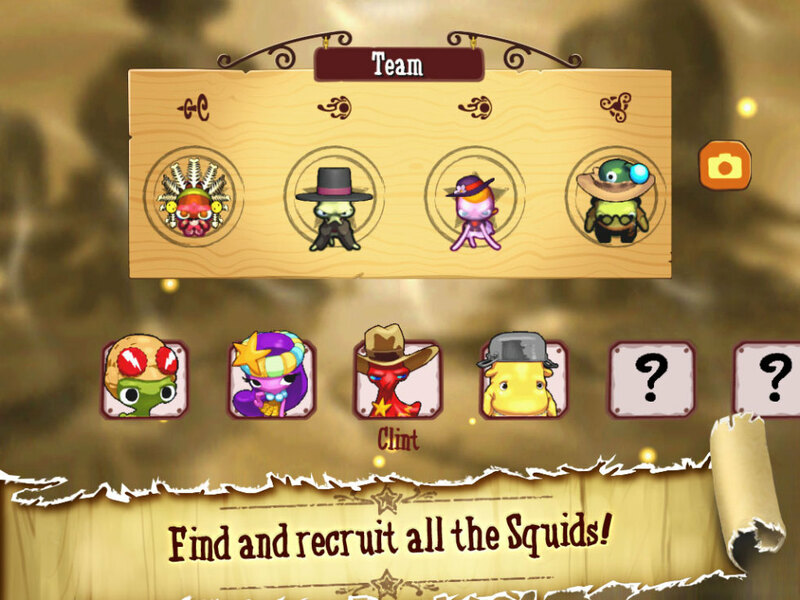 With SQUIDS Wild West there are levels that utilize different party sizes, require you to use specific characters (in line with the game narrative), and present different challenges in the composition of missions. 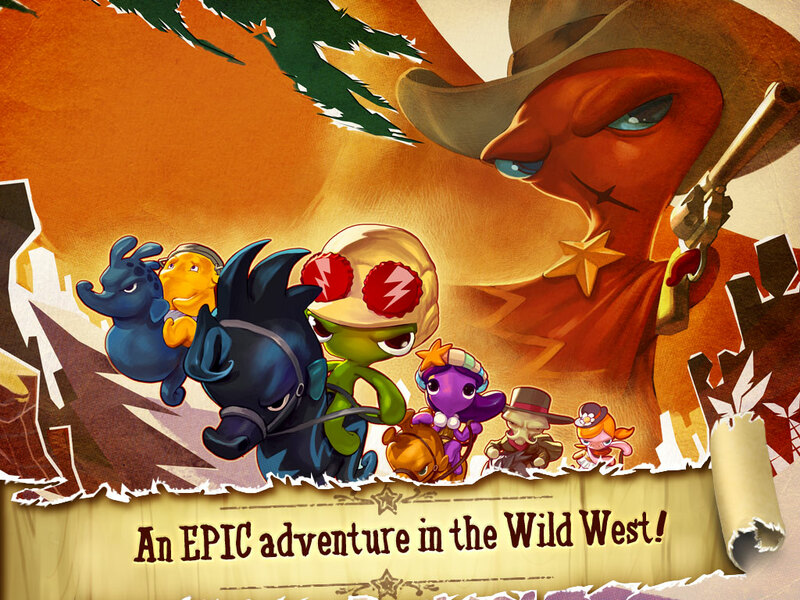 While the original SQUIDS is very clearly a high quality game, SQUIDS Wild West turns up the heat. Big changes: The game also introduces a new mechanic, horses… well, seahorses in this case. Nice touch! Seahorses appear throughout the game’s environments and essentially allow players to fundamentally alter the abilities of a character while mounted. So, a healer can become a fighter, or a bruiser can become more mobile. You can mount and dismount in the same character’s turn, which gives the game a whole new strategy to pursue. Consumables also feature more prominently throughout the game, giving players the extra edge when needed. 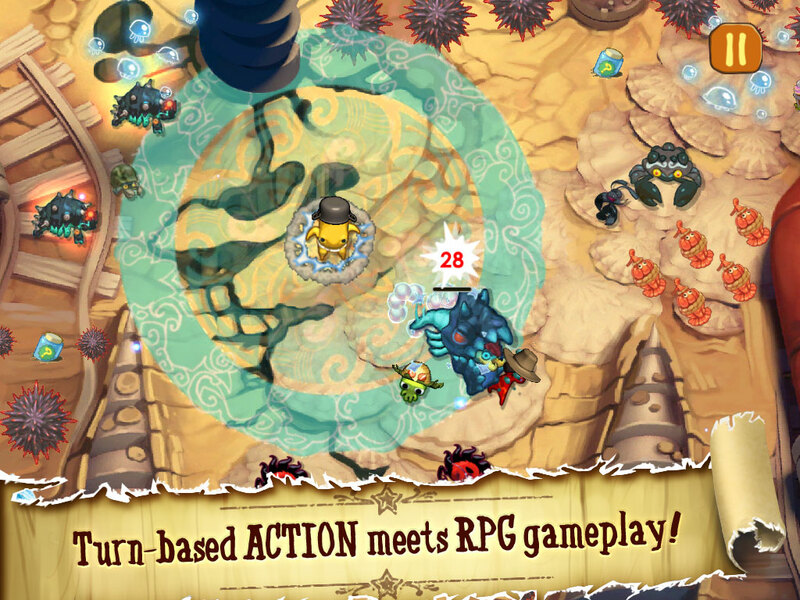 New enemies, environmental hazards, and environment interaction round out the welcome improvements. Price: At this point you might be thinking “a-HA! I need to pay for these items, don’t I.” The answer is yes and no. So much is made of the pay-to-progress or pay-to-win models of gaming these days. SQUIDS is a positive example of this. You see, the game is not F2P, rather the game is $1.99 ($0.99 for a limited time) on iOS. After that, you can play though the entire game without another purchase – however, if you’d like to gather some coin a bit faster you can do that, but it’s not required. at all. There’s even a kick-start of sorts in the in-game store. $5 gets you a piece of equipment that shows your support for indie game development. Personally, I support this option, because the game is that good. Nerd Appropriate: This game is not to be missed for mobile players. 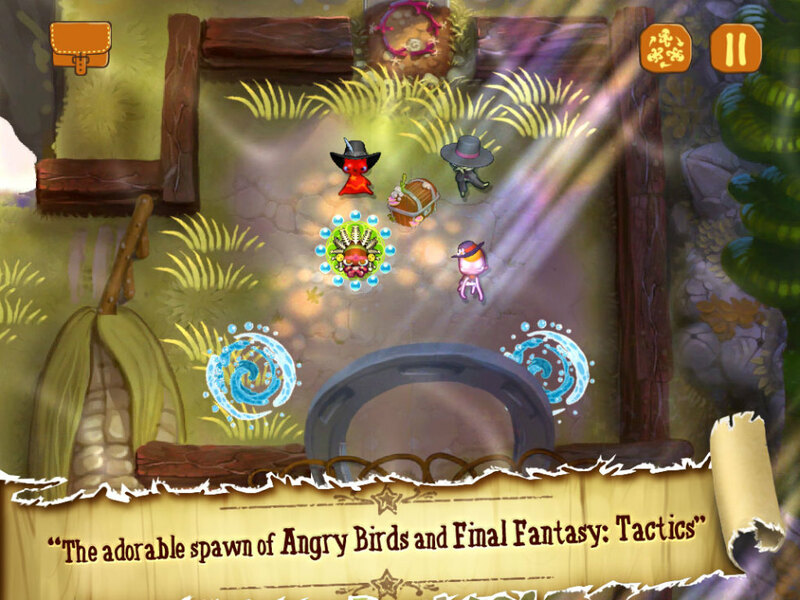 SQUIDS Wild West really showcases the strengths of mobile gaming by seamlessly blending casual gameplay with the depth and customization of tactical RPG elements. Actually, and if you haven’t played the original SQUIDS, do yourself a favor and pick that one up too. The Game Bakers have done right by this sequel and if history is any indication, updates will be coming to the game for the foreseeable future . Support quality, support indie game development, and support the termination of your boredom by picking up SQUIDS Wild West. To learn more, visit the company’s website at http://thegamebakers.com.